The following activities are designed to be used after a thorough reading of James and the Giant Peach. Whether used in a classroom setting or by home-schooled independent learners, the activities allow readers to utilize a high degree of creativity and to personalize each product to correspond to his/her unique abilities. All of the preceding choices may be completed by single learners or divided amongst two or more students to provide high-interest cooperative learning opportunities. Each activity engages the learner’s higher-level thinking abilities. As the activities are created to emphasize the upper level of Bloom’s Cognitive Taxonomy (analysis, synthesis, evaluation), they challenge learners to create new products based on previously learned material. Regardless of which or how many activities are chosen to be completed, the learner will not only interact with James and the Giant Peach on a deeper level, they will do so in an interesting and enriching format. 1. Write a friendly letter to James and let him know how you felt about how he handled the various challenges faced in the story. 2. Describe how the story would be different if the Centipede had kept his cool and not insulted the Cloud Men. 3. Imagine that Aunt Sponge and Aunt Spiker survived the peach. Rewrite the scene where the peach rolls away from them. 5. Create the front page of a newspaper that could have been printed about the peachʼs arrival in New York City. 6. Rewrite your favorite scene or chapter from the novel in the format of a skit script. Perhaps you perform it with a group of friends or classmates. 7. Write an additional chapter that could be placed after the story concludes or before the novel begins. 8. Describe how Jamesʼs personality changes from the beginning of the story to the end. 9. Imagine that you received a bag of magic crocodile tongues like James did. Describe what you would do with them. What would the outcome be? 10. Describe three different ways that James helps the insects survive a dangerous situation on the peach. 11. Imagine that you experienced a journey inside the peach like James did. Write a few journal or diary entries that describe your experiences. 12. Suppose that Aunt Sponge and Aunt Spiker were to join James and the insects inside the peach. Write a brief scene that show the interaction between them and the insects. 13. Create your own multiple-choice comprehension questions about events in the book. Trade with a friend to answer. 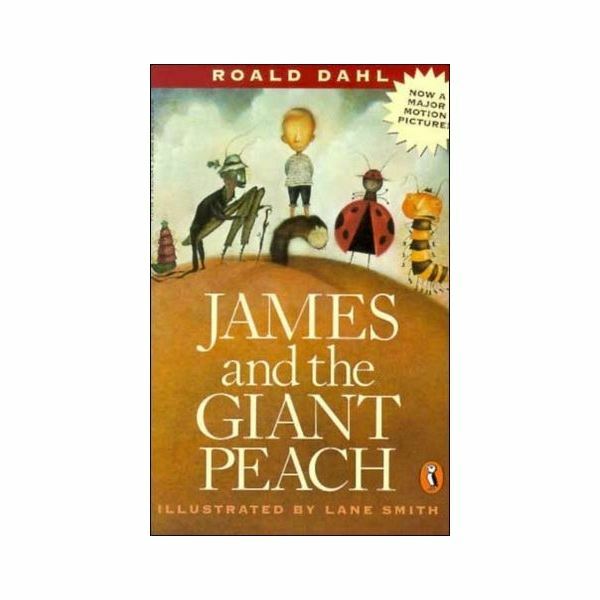 If your students need a little extra help understanding the text, you can point them to our James and the Giant Peach study guide. This series of articles includes lesson plans teaching the book James and the Giant Peach to upper fourth graders or lower fifth graders. With modifications, the book could be taught anywhere from third to sixth grade. Creative Lesson for "James and the Giant Peach"